We're a video studio that believes in the power of great processes. was founded by the three partners; Dave, James and Darren who met while all three were working for a video production company in Fremont California. 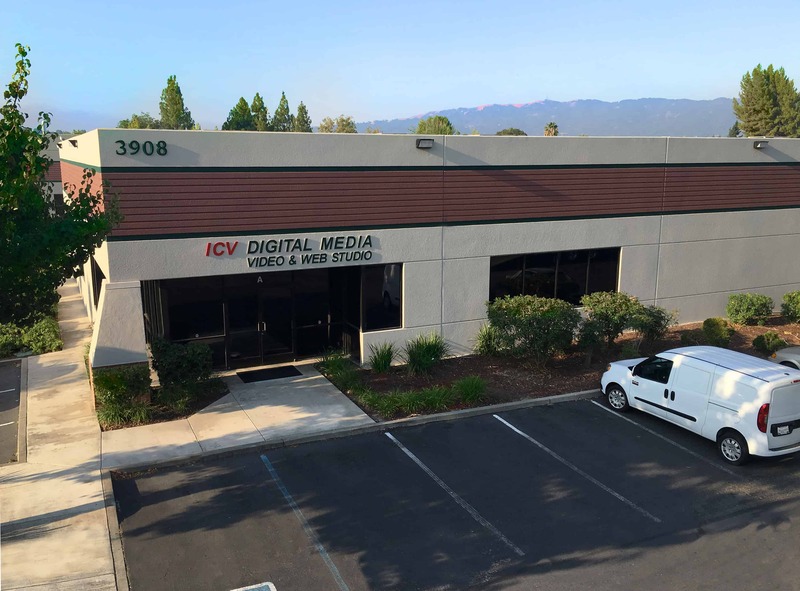 Leaving that company in 1989 to start ICV, we moved from a rented room to leased space then in 1999 we built our own 8700 sq. ft office studio in Pleasanton California. As ICV has grown we've remain focused on providing personalized attention to every client and their projects. Thanks to the talented people that have become the ICV family we have a habit of exceeding expectations. You won't find "Bios" of us here. Or pictures of us doing "Cool" things. If you want to know us, call us, talk to us, meet us and work with us. We've never felt that some posed pics would convince anyone of our work ethic or skills. We have continued to seek out and establish interesting entrepreneurial opportunities, Using our staff web and application development skills we've developed our own proprietary applications and processes. Our webcasting platform: V3 is a result of this. In 2016 after 4 years of development we launched the V3 Media Portal webcasting platform. Built not only to streamline production of our own live webcasting but to make live webcast management for any business, producer or organization simple and secure, V3 Media Portals are now used to manage and produce 100's of live webcasting events ranging from town hall webcasts to global association and industry conference webcasting for such industry leaders as StubHub, Fireeye, Zeiss Meditec, Ebay, Gilead, 24 Hour Fitness, Marketo and more. In 1999 we designed and built our 8500 sq. ft. Pleasanton media and video center with something most video production companies do NOT have; our own 2500 sq. ft. Video Production Studio Sound Stage. Our full Cyc walls and Lighting Grid make green screen compositing easy. San Francisco video production companies, and San Jose video producers use our video studio for their productions. When they're in the San Francisco Bay Area, Los Angeles video production companies, advertising agencies and producers use our video studio, audio booth, HC3800 Panasonic fiber cameras, our Tricasters, mobile flypacks, multiple Final Cut & Premier Pro editing suites and web development / graphics / creative staff to complete their projects. We provide complete Video Production Services to corporations and producers. Video Studio, Video Production equipment, video flypacks, a global presence and travel capabilities means our clients work with a complete video production partner. We provide a flexible, powerful and secure webcasting platform for clients and producers of all sizes. Our streaming video and HD video production experience combined with our custom V3 Media Portal webcasting platform ensures enterprise level service. Showing you how to webcast live using our V3 Media Portal Live Webcasting Service Platform is one of our favorite things. Our live webcasting services, mobile production racks and Final Cut editing provides a full range of media services for our clients around the world. Our staff is expert in all aspects of Live Webcasting, HD Video Production, streaming video and web engineering. ICV's client list spans all industries. Our work ranges from Town hall meetings, product introduction videos, corporate profiles to major Conferences, entertainment events and everything in-between. Ask us how we can help you with your video delivery challenges. If you have a project in mind, get in contact with ICV today! If you're searching for live webcasting companies with video streaming platforms you need to call us. If you need video production in the Bay Area or nationwide, or video studio rentals and video editing, we're the last call you should make. Thanks for your message! We’ll be in touch A.S.A.P.